For many third sector organisations, understanding how European Funding works and links into their projects can seem like a minefield. 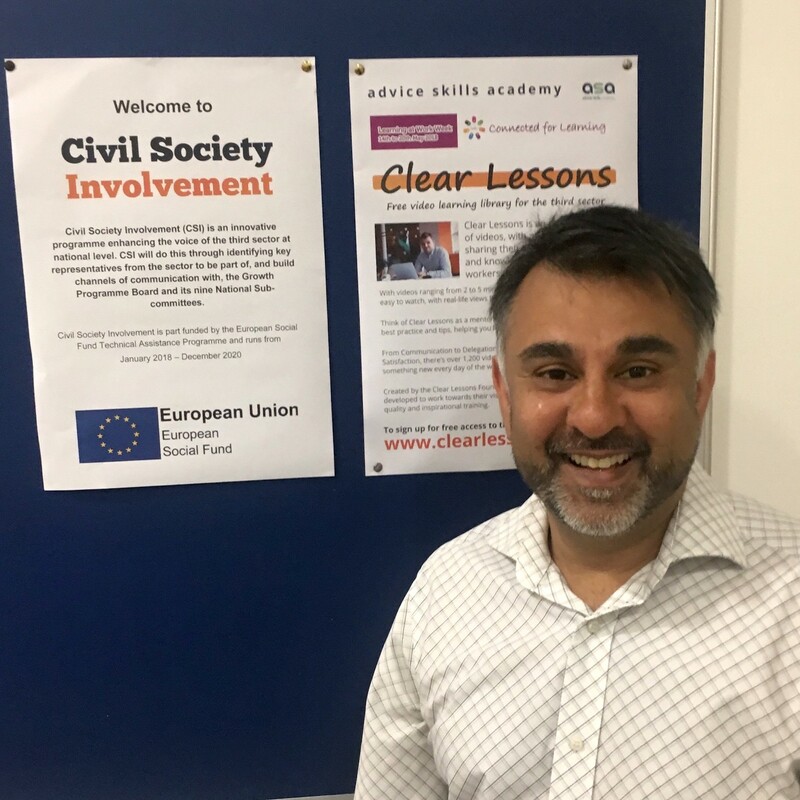 For Chief Officer of Citizens Advice Halton, Hitesh Patel, this was exactly his experience until a chance conversation sparked a chain of events. Now receiving funding for 5 different projects via the EU the CSI team touched base with Hitesh to find out more about his journey. It was through a chance conversation with Maggie O’Carroll, CEO of The Women’s Organisation, a social enterprise who have successfully run European projects since its inception, that switched Hitesh on to the possibilities. Maggie explained to Hitesh that each region’s Local Enterprise Partnership (LEP) has key priorities they are focussing on at any given time and that these inform their growth strategy and inevitably how they will channel the European Funding that has been allocated for the region. The ‘call’ was basically the notice of opportunity to bid into the pot available and evidence how your project would help the LEP to deliver on their strategy. Prior to putting a proposal forward for what became the European Social Fund (ESF) supported ‘Advice Skills Academy’ project, Hitesh had first worked with The Women’s Organisation on a Building Better Opportunities Fund project ‘Better Off Finance’. Hitesh told us “With Building Better Opportunities Fund ESF have partnered with National Lottery and so the process is much simpler as need for match funding is taken out of the equation”. Hitesh indicated that he felt match is one of the areas that third sector organisations can get bogged down by, but just picking the brains of someone in the know helped them to put a plan in place. Citizens Advice Halton are now a partner in four European funded programmes – Advice Skills Academy and Civil Society Involvement which are part funded by European Social Fund (ESF), business start up programme Enterprise Hub which is part funded by European Regional Development Fund (ERDF), and Better Off Finance jointly funded by ESF and National Lottery through Building Better Opportunities. They have also accessed European Funds directly through and ILM programme which has helped them to expand their staff team and takes their tally of successful European bids to 5. How can Civil Society Involvement help your project? Reflecting on his journey Hitesh explained why he thinks the Civil Society Involvement Programme is important to him. Civil Society Involvement is a project part funded by European Social Fund technical assistance programme to support third sector organisations to better understand and have a voice on how the final phase of European Structural and Investment Funds will be used. Through signing up to the newsletter you will receive information that will help you to know when calls come out in your region, understand how to navigate the process, and how EU funds can work for your organisation. Through connecting with our reps who sit on the 9 national subcommittees and Growth Programme Board you can report issues and ideas that will shape the final phase of the programme, and inform the funding landscape beyond. If you would like to find out more about how Civil Society Involvement can help you, please contact info@civilscoietyinvolvement.com. To receive updates from the project and latest news on European Funding, click here to join our mailing list.